More fun adventures at our new Island Fun Park! Three Activities at One Great Price! 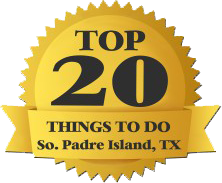 So many things to do on South Padre Island! 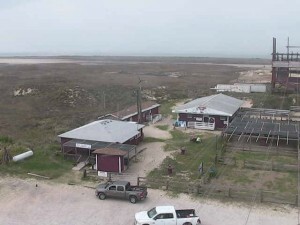 Our Adventure Park is located at the end of Park Road 100 with forty acres of land spanning from the Gulf of Mexico to the Laguna Madre Bay that provides an unparalleled location for Adventure on South Padre Island. Our horseback rides are along the beach and water’s edge and we often see a variety of shoreline and marine life and we get to ride in the remote portion of the Island that few people get to experience. No crowds here! Zip-a-thon: We don’t limit your number of zips. With our unique quick zip-line transition system you will be able to zip around the zip-line circuit as fast, or, slow as you want to during your session. Our Petting Barn is filled with birds and animals we have rescued or have been donated to us for a forever home. Children can enjoy a safe and educational interaction with all of our birds and animals (us big kids too). Dolores also owns The Massage & Healing Arts Center and her licensed and professional Massage Therapists are ready for your pampered needs after a fun day at the beach. Beach and Bay Horseback Rides, Beach and Bay Horseback Riding, Sunset horseback rides, Sunset horseback riding, Sunrise Horseback rides, Sunrise Horseback riding, Equestrian Centre, Equestrian Center, Horseback riding on the beaches of South Padre Island, Rides on the Beach and the Bay from Sunrise to Sunset, tranquil rides on South Padre Island, Horses at The Stables, SPI Stables.